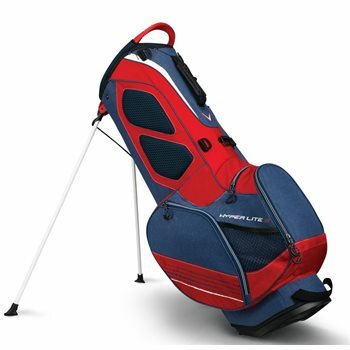 The Callaway HyperLite 3 stand bag is lightweight at 4.6 pounds and features a 4-way top with full length dividers for club protection and organization. Another feature of the bag is the new X-Act Fit strap system that will self-balance the bag on your shoulders for a better carry experience. The HyperLite 3 stand bag is equipped with a strap down umbrella bungee, an individual cell phone sleeve and 8 pockets that include a magnetic easy access valuables pocket, a full size apparel pocket and an insulated water bottle pocket. Great bag with plenty of storage!